That is why I love to take collagen when I'm training. But what in the world does collagen do for your joints? Well, let me tell you what I have found out! Collagen actually improves skin and hair, repairs joints, helps leaky gut, boosts metabolism, strengthens teeth and nails, helps detox, and reduces cellulite and stretch marks. As we age, our natural collagen production actually slows down. Say hello to wrinkles, saggy skin, weaker joints as well as a whole long list of other issues! 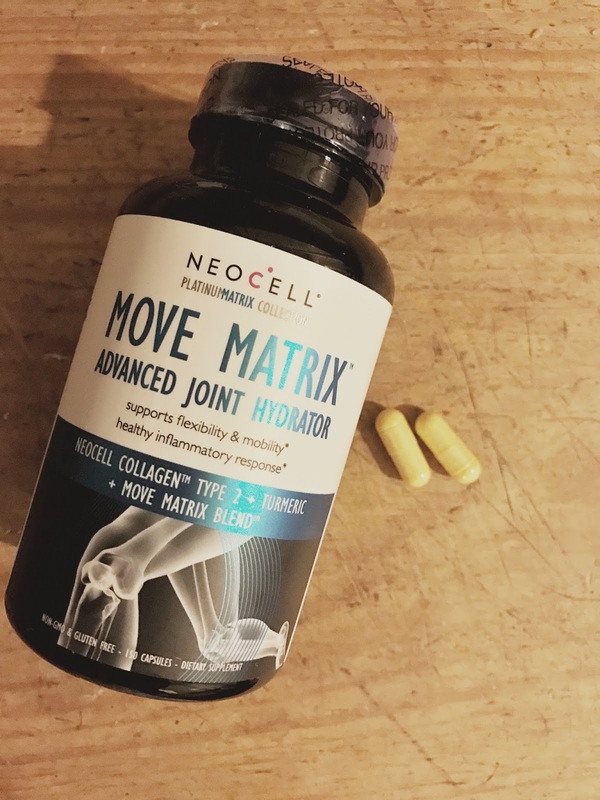 NeoCell has released some new products such as Move Matrix. And the Move Matrix Advanced Joint Hydrator actually has tumeric in it; which helps to reduce inflammation. Imagine the amount of inflammation going on after a long run! Move Matrix helps to promote healthy joints by supporting joint flexibility and range of motion with Collagen Type 2, Tumeric, and Hyaluronic Acid. 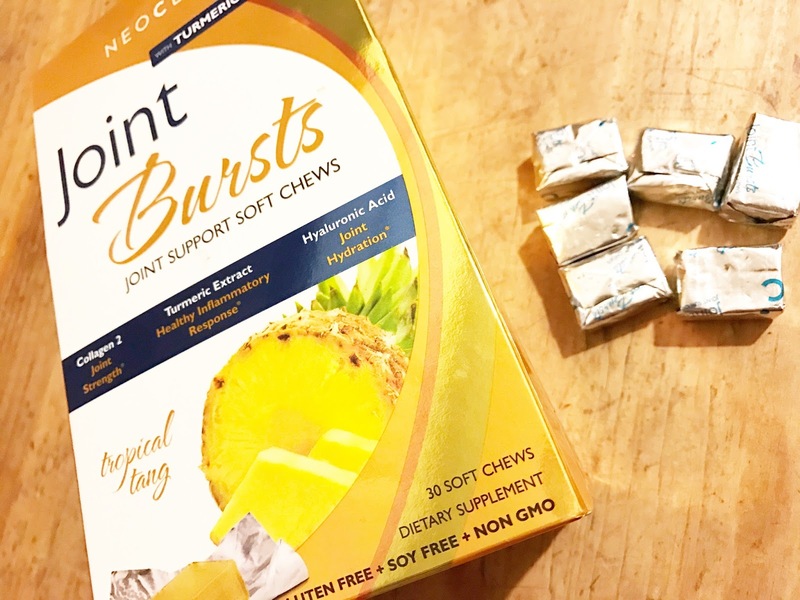 NeoCell's Joint Bursts are another one of the newer products. 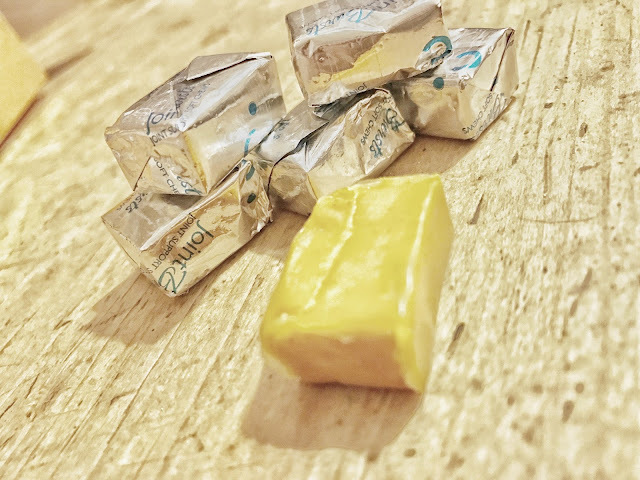 They give your joints the fluidity and lubrication with a delicious chew rather than a pill. They come in the Tropical Tang flavor which I really like! They are also gluten free, soy free and NON GMO. I've been in the habit of taking one of these after every run. If I want to continue to run well into my 80's, I need to make sure I enter my 40's taking care of myself right? Actually, I should have been taking care of myself all along, but it doesn't hurt to amp it up now with some added collagen! Thanks, NeoCell!!! Derma Matrix Collagen Skin Complex is another new product by NeoCell. This lovely powder is SO easy to use. I just add it to my shakes in the morning. Then just shake, drink and enjoy. The Derma Matrix focuses in on the skin those wrinkles and fine lines that creep up on you (well, me) as I age. ugh ugh ugh.... I'm aging!!!! It actually improves elasticity in the skin, slows down hair loss, repairs connective tissues for improved elasticity, improves circulation, helps to build lean muscle and helps burn fat while you sleep. Now you can see why collagen is so important! With NeoCell in my corner, I can slow down this aging skin thing and keep my body/joints happy! I think you should check out NeoCell!